Donald Gould used to play the clarinet all over the world in the U.S. Marine Corps band. Several years ago he became homeless after struggling with addiction after the loss of his wife. Living in Sarasota, Florida, he benefited in more ways than one from a new initiative by the city to place pianos throughout the town. He started playing, and his life changed forever. 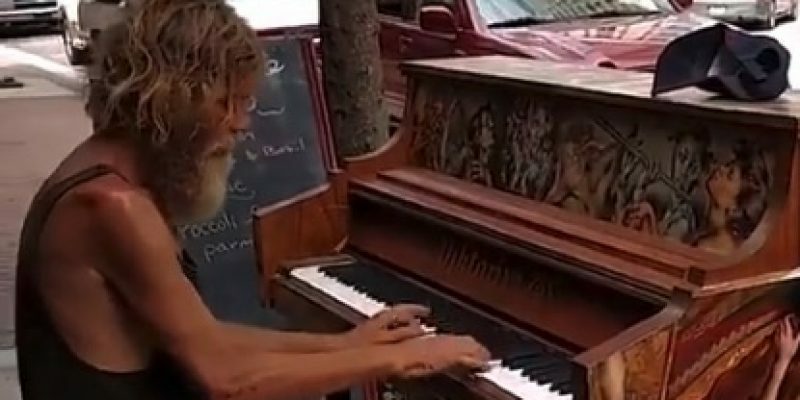 His incredibly talented playing was captured on video, went viral online, and people from all over the world showed him support and love– a must-watch heart-warming story.